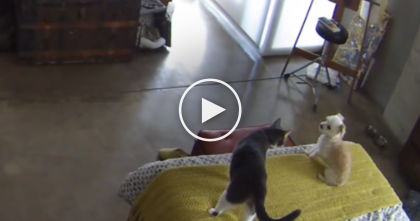 Watch the cat’s reaction when he tries waking up his doggie friend… I just melted when I saw THIS. 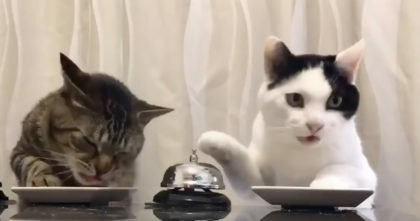 This cat is attempting to wake up his sleepy doggie friend, but if you keep watching, something MUCH cuter happens and it will make your day when you see it – this cat is so gentle and sweet, he’s winning all our hearts! Moments after trying everything his little paws can to wake up his doggie friend to play, he finally decides to just cuddle up and take a nap too – sometimes sweet dreams like this are a little contagious… Awwwwww!! 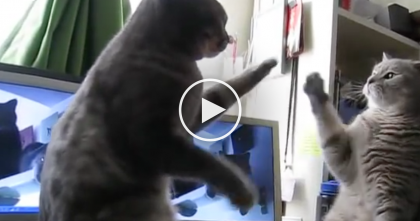 This cat just couldn’t hold it any longer and gives in… Just watch the video!! 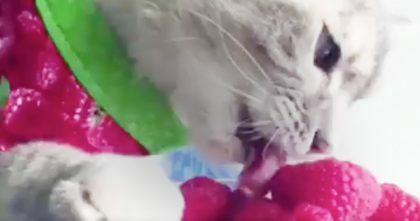 Kitty Eats His Favorite Foods And The Results Are HILARIOUS… I Can’t Believe He Loves This?! 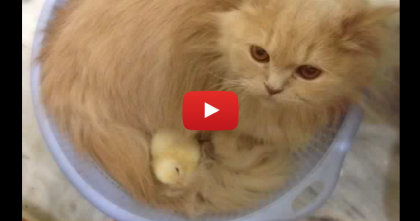 They Adopted Some Baby Chicks, But When The Cat Noticed?? They Couldn’t Believe It!